12.30pm to 4pm on weekends and public holidays. Celebrate Christmas with some spicy and succulent “hot legs” — turkey legs, that is. DOUBLETREE by Hilton Kuala Lumpur’s signature restaurant, Makan Kitchen, will be serving up unique Malaysian interpretations of popular Christmas treats this festive season. Led by the hotel’s executive chef Eric Siew, the team will be serving turkey cooked in three styles — Malay, Chinese and Indian — as part of their festive buffet spread. 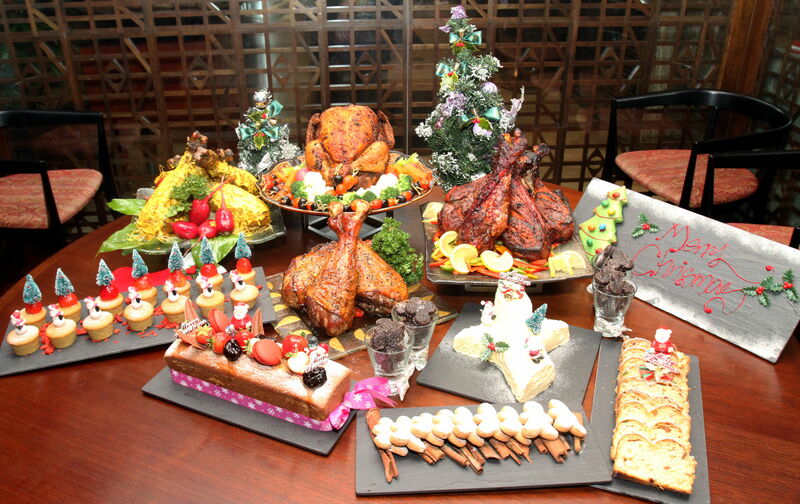 The scrumptious new offerings that will be a part of Makan Kitchen’s Christmas buffet promotion. A generous use of spices appears to be a recurring theme in these three styles, especially in the Truly Malay Percik Turkey Leg with Galangal and Coconut Gravy. Siew said lemongrass, turmeric and coconut milk were used in the marinade, and the turkey legs were soaked overnight prior to cooking. Out of the three, the Chinese-style Roasted Turkey Leg with Star Anise Lacquer is the closest in appearance to the traditional whole-roasted Christmas turkey (top pic), and was also my personal favourite for its simplicity. Five-spice powder is the key ingredient in the star anise lacquer, which contains star anise powder and Szechuan peppercorns, giving the turkey skin a slightly peppery but flavoursome flavour. Last but not least is the Indian Tandoori Turkey Leg with Mint Chutney. The recipe is similar to tandoori chicken, though I found it a little mild in terms of flavour. Diners can enjoy these special creations as well as sample traditional Christmas whole roasted turkey and slow-cooked lamb at the respective carving stations. As with any Christmas buffet, many diners can look forward to the unique festive desserts. 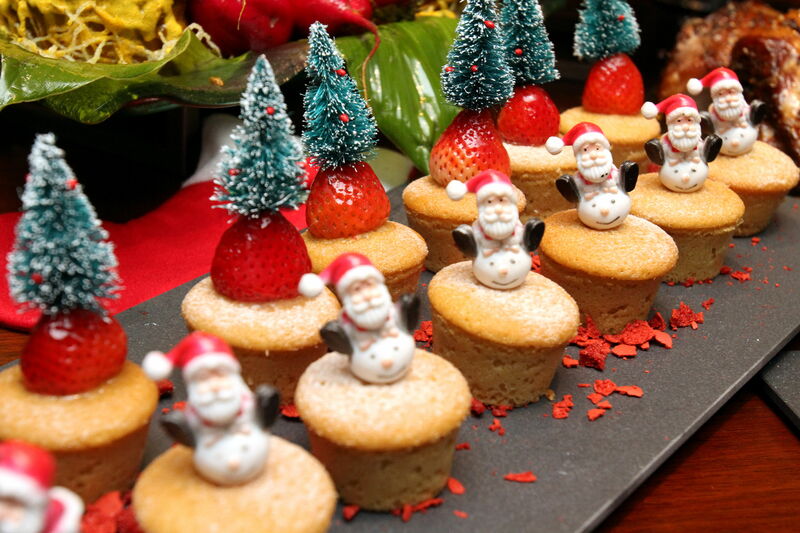 A colourful assortment of cupcakes decorated with mini Santa Claus and pine trees. The yule log is a must in Christmas spreads, but in keeping with the “East-meets-West” theme, Makan Kitchen is serving durian-flavoured yule logs. This is a treat that everyone can enjoy as the texture is rather smooth and the flavour is not overpowering. Another treat that diners ought to save room for are the Brunsli cookies. These chocolate-almond spice cookies are made with cinnamon and ground cloves and will definitely have you going back for more. This special promotion is only available for high-tea on Christmas Day and New Year’s Day , priced at RM92++ per person, as well as for dinner on Christmas Eve, Christmas Day and New Year’s Eve at RM125++ per person. Children below the age of 12 can enjoy the festive spread at half price and diners can enjoy a 20% early bird discount for reservations made before Dec 10. 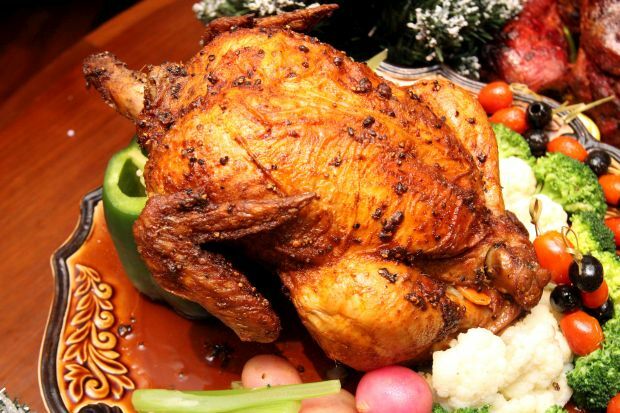 DoubleTree by Hilton is also running other simultaneous promotions at Tosca and The Food Store, where customers can order a 6kg slow-roasted whole turkey for takeaway at RM390, among other items.